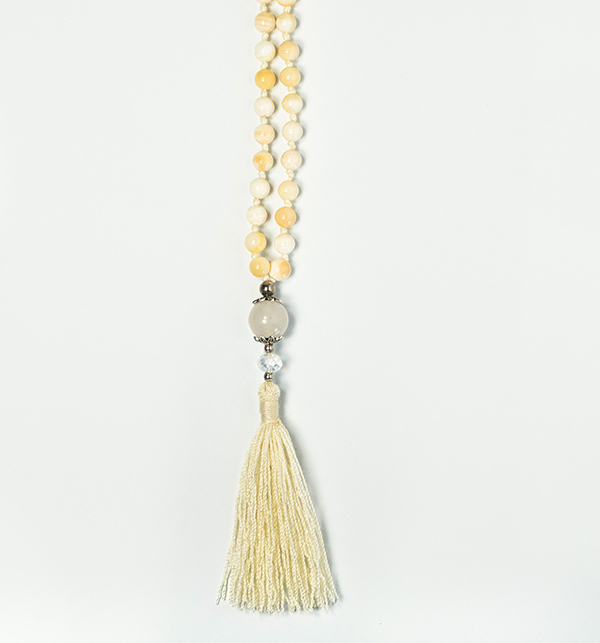 Seashell malabeads with embellished tassel. 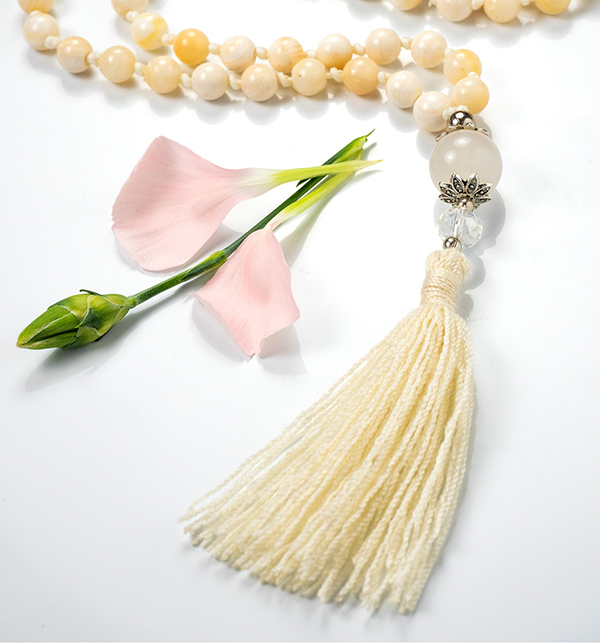 108 beads, length 55cm. Ocean, moon and tidalwaves delicate energy from the sea. 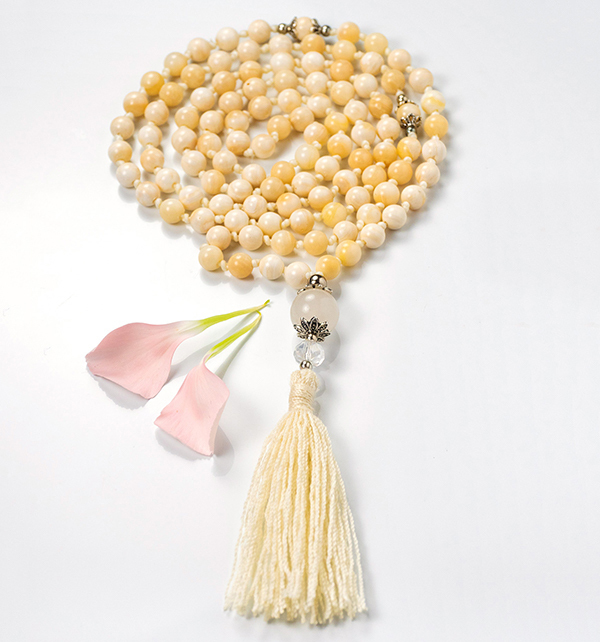 Decorative tassel in japamala beads represent lotus flower and yogis path to enlightment.